for my upcoming friends get-together, this time I thought of serving them something refreshing, tasty and healthy. 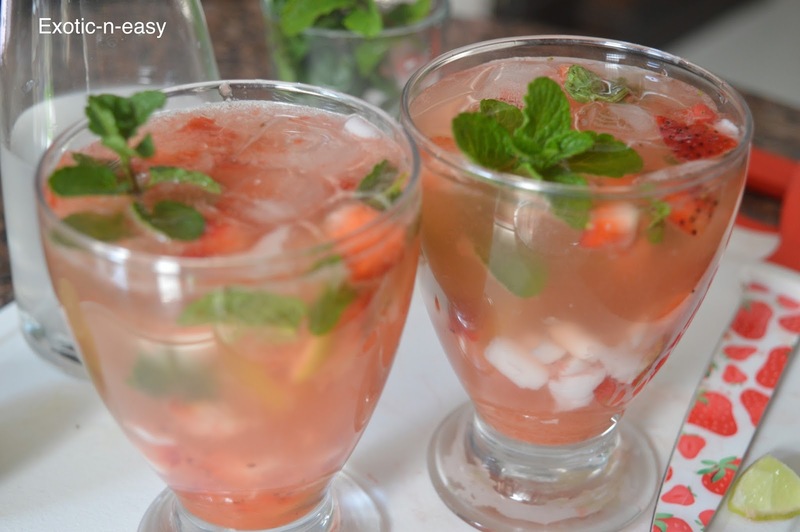 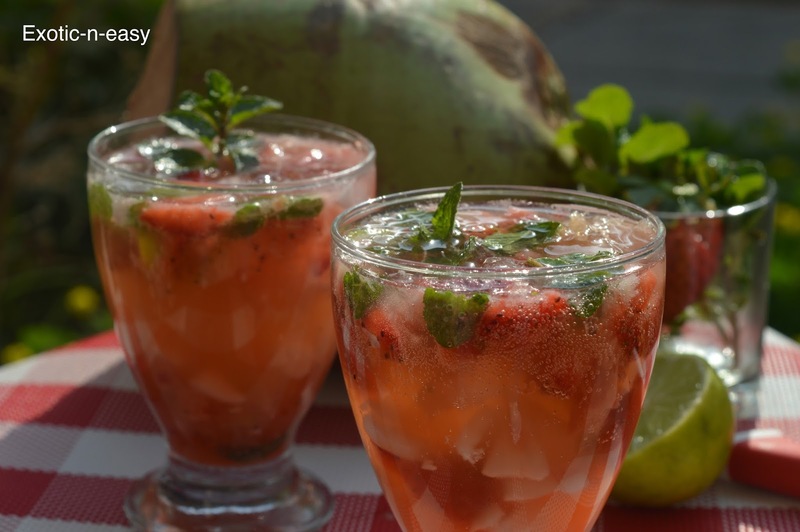 I made this drink with the taste of strawberry, nutrients of coconut and freshness of lime. 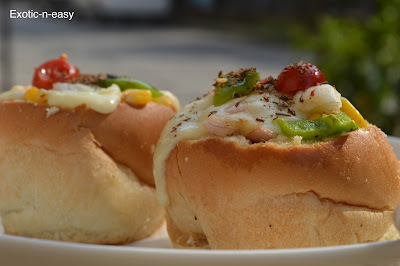 Do share your surprise and appreciation of your friends. 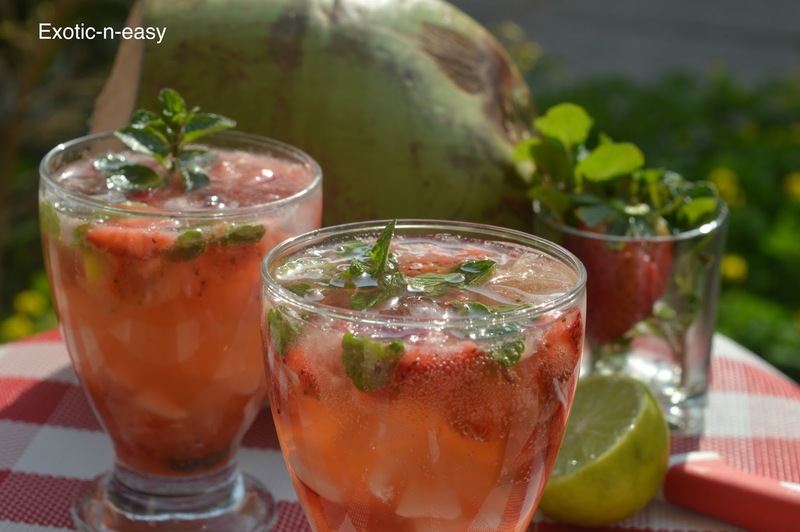 Finely chop Strawberries, lemon, tender coconut and keep aside.